Who else wants to know why sponsorship is an effective marketing tool? Sponsorship is a much bigger thing than one might think. It is a very powerful and effective marketing tool because it increases the impact your business has on people beyond awareness and promotion. Unlike advertising, sponsorship creates dynamic connections with positive ideas. Sponsoring a cultural event in particular offers significant, different and exciting marketing opportunities to actively engage with audiences as well as showing support. Attracting your business’ audience, sponsorship of an event broadens your exposure, increasing your credibility, image and prestige. To sponsor an event is to support it financially with cash or in-kind, in return for benefits that help your business reach its marketing goals. Sponsorship of an event is a three-way exchange: it provides your business with access to the event audiences; it allows audiences to enjoy an enhanced event; and it gives the organisers the means to put the event together. Sponsorship is a commercial transaction, not a charitable donation. It is an opportunity to engage in a marketing exercise that is going to promote your business in many ways. The creative industries in the UK are estimated to contribute over £92bn to the economy per year (DCMS – Department for Culture, Media & Sport). Arts and Culture are widely recognized to be powerful drivers in raising the profile of a region and regenerating communities and businesses. The Marlowe Theatre in Canterbury had an economic impact of £34.5 million during the financial Year 2016-2017, attracting over 400,000 people to watch their shows. The Canterbury Festival attracts 65,000 visitors every year. Its economic impact in 2016 was estimated at £3 million. Turner Contemporary in Margate has welcomed more than 5 million visitors since it opened in 2011. Its economic impact is estimated at £58 million. The Broadstairs Folk Week attracts 50,000 visitors each year and inputs £2.4 million into the local economy. 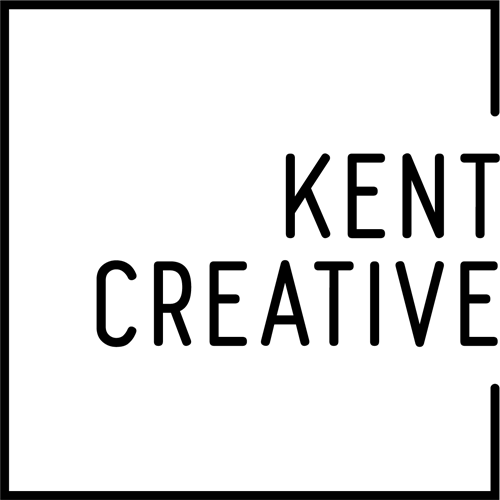 So not only does Kent have a solid base of creative professionals, but it also has many residents and visitors who engage with arts and culture. Whether they produce events or entertain and educate themselves, these are large audiences. Wouldn’t a Kent based business want to reach them? Any sponsorship campaign should be directed at aiming specific goals, the ultimate one being to drive sales. One of the most obvious benefit of sponsorship is that it helps your business increase awareness and brand building. Indeed, sponsorship has the ability to associate your business to a message, to a set of ideas and concepts. These ideas can evoke community, a sense of place, localism, creativity, civic pride, etc… The message works in the audience mind and builds loyalty. Penelope James explains: “Sponsorship can be a very important part of the marketing mix in terms of raising the company profile to target audiences. E.g. When a recognised UK bank partners with a concert series at the South Bank in London this enables the bank to reach its target demographic (Audience of primarily ABC1) and also associate itself with the most important and influential artists and partners from around the world. The message is subliminal: “we are like the artists you see performing here – professional, highly accomplished and hardworking”. With sponsorship, your businesses is associated to positive ideas and quality and looked at more favourably, with an enhanced image. Sponsorship increases willingness to purchase and loyalty when it is connected to an event that means something to the people involved. It then triggers positive emotions and feelings. Sponsoring a cultural event will allow you to target the customers you want. By creating a connection with events that have been designed for a variety of audiences (classical music concert; folk music festival; photography project for young people; …) you can reach specific groups. So, sponsorship creates opportunities to meet customers and business partners. VIP receptions, event launches, private views, etc… are excellent for networking. You can maintain your relationships with existing customers and suppliers that you invite at the event; and you also build relationships with new contacts. Also, with events, sponsorship increases awareness and drives sales when potential customers can try your products and experience your services. And if you host an event at your venue, you will get people through the doors, connecting with your customers directly. Sponsorship helps you grow your social media presence as you actively engage with audiences. As the need for content has become more and more important on social media, you will find it crucial to access visuals and stories provided by the event. Some of them will be created just for your business; others will be unique to the event. And you won’t find it anywhere else. …and it is tax deductable! So, now you have discovered a different way to promote your business! Sponsorship adds value to your marketing with many positives outcomes, and as Mike Buchanan experienced: “It’s a lot of fun!”. Identify events with audiences that match the customers you want to reach. Talk to the event organisers and discuss sponsorship features that work best for you to achieve your goals. Make sure you allow some time to act on your sponsorship so audiences hear from you directly. At the very least, acknowledge and promote your involvement. If you found this blog useful, please share it.